M.W.G.M.M. Bro The Right Honourable The Lord Burton, Grand Lodge Office Bearers, Provincial Grand Lodge Office Bearers, Distinguished Guests and Brethren all. Can I first and foremost thank Substitute Provincial Grand Master Bro. David Laing for his very kind toast to the Daughter Lodges. We have not only had the privilege of listening to an excellent toast, but have in addition been entertained by his natural flair and talent to perform such a task. It has indeed been a privilege and a pleasure to receive, on behalf of the Daughter Lodges, such kind tributes, and I would thank you for these kind words. Can I also say R.W.P.G.M. that it is an honour and a privilege to have been asked to reply this evening on behalf of the Daughter Lodges within the Province of Stirlingshire, and to you R.W.P.G.M. I thank you for that honour. You know Brethren, as a young Freemason some 20 years ago, I found it very peculiar that in such a masculine organisation as Freemasonry, a great deal of the language was feminine. We talk about our Mother Lodge, and we talk about Daughter Lodges, and as a young Freemason, I never quite knew why that was the case. But through the years, I soon came to realise that it is of course, because the Daughter Lodges of any Grand Lodge or Provincial Grand Lodge is where the beauty of Freemasonry is practiced – and I think that is a very important thing for all of us to realise. As Bro. Laing so rightly said, the Daughter Lodges are the foundation of all that we do in Freemasonry, and it is in the practice of that beauty that our loyalty and our devotion is shown to our Provincial Grand Master, and through him to Grand Lodge. It is on occasions such as this, our 250th Anniversary, that we reflect back and appreciate the many problems that our forefathers faced and experienced some 250 years ago, when they were trying to give life to Lodges and establishing the foundations of new Lodges within this Province. We can now only look back and admire the tremendous commitment, and the tremendous determination, shown by the Brethren down through the years – and throughout the Province’s long and varied history. A history Brethren that has been crowned with success in seeing the flourishing condition that we find the Province of Stirlingshire in today. And we in the Daughter Lodges are especially delighted to be part of this very jubilant celebration today in achieving the ripe old age of 250 years. Today Brethren, we have in our midst three Past Provincial Grand Masters out of the twenty six who have served our Province sine 1745, along with many Past and Honorary Provincial Grand Lodge Office-bearers from the Province of Stirlingshire and I, on behalf of the 23 Daughter Lodges, would thank each of them most sincerely for the part that they have played over the many years in communicating friendship between the Daughter Lodges. Also today Brethren, probably like you, at the Ceremony this afternoon I couldn’t help feel how justly proud all of the present Provincial Grand Office-bearers must have been, at being part of the Ceremonial this afternoon. In Stirlingshire we are very fortunate to have such a dedicated team of Provincial Grand Lodge Office-bearers, under the wing of our Provincial Grand Master Bro. Colin Terris Wyse. We all know R.W.P.G.M. that you only have a few months of your reign as Provincial Grand Master left and I would like to take this opportunity on behalf of all the Daughter Lodges to thank you R.W.P.G.M. for all the time and commitment that you have given to us over the past five years. You are most admired by us all R.W.P.G.M. for your enthusiasm for the Craft, your capability in business situations, and above all for the very kind, the very tactful, and the very approachable manner that you have performed your duties as our Provincial Grand Master, and we hope that after you vacate the chair of Provincial Grand Lodge, that you will have a very long and happy retirement, still giving us the privilege of your presence, and the advantage of your advice. And so Brethren, with a 250th Anniversary year comes with it a new Provincial Grand Master, and I am sure that all the Daughter Lodges will join with me in pledging our full support to our Provincial Grand Master Elect Bro. John McLeod Sneddon. Bro. Sneddon is known to us all within the Daughter Lodges and we wish him well in his new appointment and look forward to working with him in the near future. 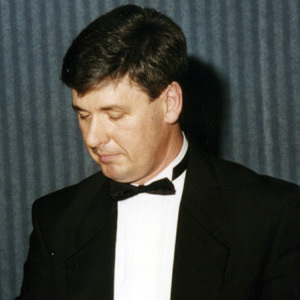 I feel Brethren that I cannot finish my Thank You’s this evening without giving a mention to a Brother that we in the Daughter Lodges owe so much to over the past twenty tears – I mean our Provincial Grand Secretary Bro. Joseph Campbell who has been a faithful servant to our Province and has served as Provincial Grand Secretary to the last four Provincial Grand Masters. This is a tremendous achievement of service and I would like to give Bro. Campbell a very special thanks from all the Daughter Lodges in the Province, for all the help and advice that he has given us over those many years. We can reflect so much on the past Brethren, but the youth of today is our future of tomorrow and we in the Daughter Lodges must never forget these Brethren, as they are the backbone of our order and the very Office-bearers of our Province in the future. It is therefore imperative that we in the Daughter Lodges manage our affairs with care, and always with the original precepts and patterns that were the ideals of our forefathers within this Province. We must Brethren keep strong the ties of communication with our Provincial Grand Lodge and take our Province into the 21st Century as a model of our Craft, and more importantly as a model to mankind. R.W.P.G.M., the loyalty and support of the Daughter Lodges to the Provincial Grand Lodge of Stirlingshire will I hope always remain firm. The Daughter Lodges have supported this Province for the past 250 years and I am sure will continue to do so for many years to come – I’m certainly planning to be at the 300th Anniversary - I’ll only be 88! R.W.P.G.M., it only remains for me to extend on behalf of your Daughter Lodges our congratulations and best wishes on your 250th Anniversary Year. We in all our Lodges are especially proud of our Province and I sincerely thank you all for your efforts each year, in fulfilling your duties in such an admirable manner. Can I once again thank Substitute Provincial Grand Master Bro. David Laing for his very kind toast to the Daughter Lodges and you Brethren for the manner in which you responded to it.